Rita Saenz, of Sacramento, began her pubic service career as a community organizer in East Los Angeles. 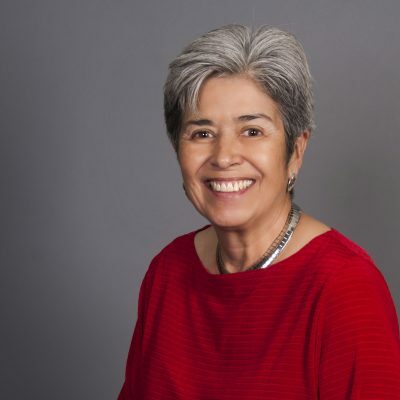 She was staff at the Mexican American Opportunity Foundation when it was primarily offering Department of Labor programs and the East Los Angeles Health Task Force when it was first planning for local health and alcohol abuse and alcoholism programs. Between those responsibilities she was a host moderation on AHORA!, a KCET PBS station. She then worked statewide with the Association of Alcoholism Councils, and on the West Coast supporting community alcoholism programs under contract to the National Council on Alcoholism. This work she finished as a contractor with the National Institute of Alcohol Abuse and Alcoholism. At that time she also sat on the National Councils for the National Institute on Alcoholism and Alcohol Abuse and the National Institute on Drug Abuse. She was appointed by Governor Brown as Director of the Office on Alcoholism, and the then the Department of Alcohol and Drug Programs. She was Secretary for Gubenatorial Appointments at the end of the first Brown Administration. In 1998, Governor Davis appointed her Director of the CA Department of Social Services, serving until 2004. Her work in the private sector includes running a national charitable organization called The Holiday Project, visiting people in institutionalized during the holidays. She has served as faculty during different years in an international training organization, the Academy for Coaching Excellence, now known for its Thriving Changemaker’s programs. She retired 2016 as director of California governmental affairs at Xerox Corporation, where she served in various positions since 2007.